#SUCCESSFUL CORPORATE LEARNING tweet Book05 | THiNKaha: Become a recognized expert in your field of expertise. Compelling thought leadership content. Section I: What Is Knowledge Management? Section IV: How Do I Know My Knowledge Management Program Is Working? #2: KM is a way of conducting everyday business to ensure our corporate knowledge is embedded in our business processes. #30: KM enables business processes—it’s not a separate or additional business function, an extra duty, or a step in a process. #62: KM is working when your workforce shares a common view of what is going on. They feel informed and empowered. #100: A KM strategy begins with leadership communicating its purpose and value, and prioritizing resources to build and sustain the strategy. #126: Focus on knowledge flow and enabling the three types of interactions: people to people, people to content, and systems to systems. The speed of data collection, an increase in the volume and complexity of data, the pressure to be innovative and adaptable, and the need to learn and share across geographic and corporate boundaries are just a few of the factors that make managing knowledge central to any organization’s success today. Knowledge creates the capacity for effective action, and making that knowledge flow in a way that supports organizational learning is a key component, perhaps the most vital asset, for a learning organization. Knowledge management (KM) as a discipline is often misunderstood. To help illuminate this field, KM expert, Michael Prevou, and corporate veteran, Mitchell Levy, condense input from top KM practitioners to provide the best practice advice that will help today’s corporate leader understand KM in a clear, structured, and relevant manner. Cutting straight through the confusion, this hard-hitting book provides just what you need to know to understand what KM is and is not, why it is important, how to design your KM strategy, and get started with your organization’s KM program. 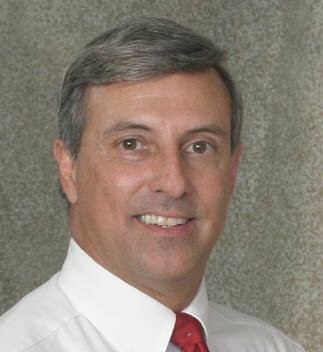 Michael is one of the most innovative and experienced knowledge management practitioners in the country. 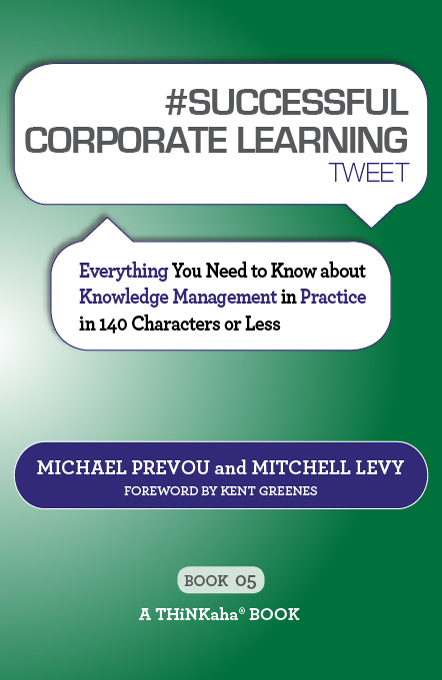 In #SUCCESSFUL CORPORATE LEARNING tweet Book05: Everything You Need to Know about Knowledge Management in Practice in 140 Characters or Less, he draws on that unique experience to bring you the most relevant and cutting-edge developments in the field. While working with the U.S. Army, he co-founded the Army’s lead agency on knowledge management and established and grew a nested network of over 60 communities. These communities have grown to over 250,000 active members and have saved the military time, money, and lives. His unique experiences implementing real KM in action along with his background in educational psychology partner for a powerful combination of expertise that can help any company implement a successful KM program targeted to their specific needs. In this book, he teams up with Mitchell to show that KM should be a deliberate and continuous strategy to get the right knowledge to the right people at the right time, helping people share and put knowledge into action in ways that visibly improve individual and organizational performance. #SUCCESSFUL CORPORATE LEARNING tweet Book05: Everything You Need to Know about Knowledge Management in Practice in 140 Characters or Less is part of the THiNKaha series whose slim and handy books contain 140 well-thought-out quotes (tweets/ahas). Want a branded edition of #SUCCESSFUL CORPORATE LEARNING tweet Book05 for your company? Michael Prevou, PhD (@mikeprevou) is president and co-founder of Strategic Knowledge Solutions, a leading consulting firm specializing in knowledge management (KM) and learning solutions. 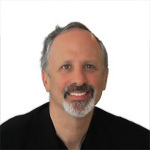 Dr. Prevou has authored over 25 articles on knowledge management strategies and solutions, and individual, team, and organizational learning approaches. For the past seven years he has designed and implemented a wide variety of KM strategies and approaches currently used by the U.S. Army, Air Force, and Fortune 500 companies. Mitchell Levy is the CEO and Thought Leader Architect at THiNKaha who has created and operated fifteen firms and partnerships since 1997. He and his team are brought into corporations to turn their experts into recognized thought leaders. Mitchell is an Amazon bestselling author with twenty one business books, he has provided strategic consulting to over one hundred companies, has advised over five hundred CEOs on critical business issues through the CEO networking groups he’s run, and has been chairman of the board of a NASDAQ-listed company. Get a free copy of the eBook Mitchell Levy on Creating Thought Leaders at the Aha Amplifier, read about thought leadership best practices on the LinkedIn group, or watch a new thought leader each week on Thought Leader Life. Read more and connect at his About.me page.